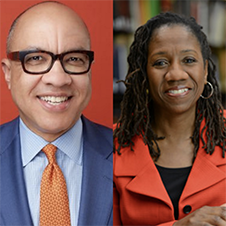 The November 9th lecture, titled “Reckoning with Racial Injustice in the United States,” aims to gather thinkers and actors in the continuing movement for racial justice in the United States. This includes human rights activists, policy makers, scholars, and practitioners engaged in confronting the history of racism in this country and ending its current manifestations. Walker has been an outspoken advocate for the need to face the unbroken legacy of slavery, and under his leadership the Ford Foundation has been a key contributor to public discussions of race in the United States. In his recent open letter “A Call for Moral Courage in America,” he urged public interrogation of the history of racial injustice. "America made no sustained effort toward what some today might call transitional justice,” Walker said. “The nation paid no reparations to freed slaves; the '40 acres and a mule' promised to most freed blacks never materialized. Our country never convened a Truth and Reconciliation Commission nor engaged in an officially sanctioned public interrogation of our shared history, North and South." ICTJ President David Tolbert will moderate the discussion. Tolbert has worked in the former Yugoslavia, Palestine, the Middle East, eastern Europe, Cambodia, Lebanon and a host of other countries, but his roots lie in the Carolinas, where he grew up in the segregated South and has advocated for the United States to confront its own troubled past. The event will take place one year to the day the United States first woke up to President-elect Trump. In the time since President Trump has been in office, revisionist narratives have found stronger footing in the country, fomenting deeper divisions and claiming yet more lives. Confronting these false narratives and reckoning with the United States’ racist past is essential to building a just society. . This event will ask how concepts and strategies of transitional justice might contribute to this process and advance racial justice in the United States. The conversation will be held on Thursday, November 9th from 7:00- 8:30 pm at NYU School of Law’s Lipton Hall, 110 West Third Street New York, NY 10012. A reception will follow. To reserve seats, please RSVP below.